To be clear, Neurotic Owls are the shy ones. 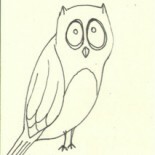 Poor Neurotic Owl. He’s intimidated by owls in glasses. 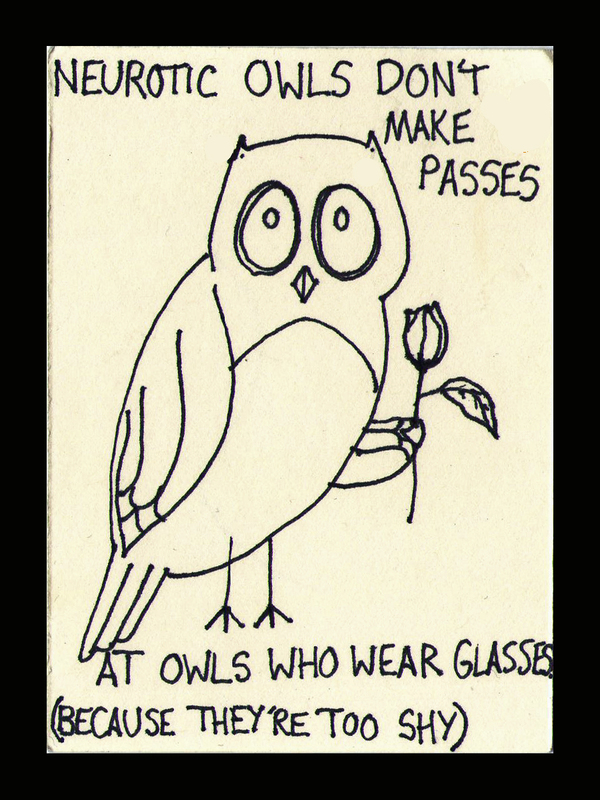 And owls without glasses. And owls with contacts. But at least he doesn’t claim to be ‘too nice to get owls’. Reblogged this on Perfectly Opaque. I am shy and I use glasses since I was 11 years old. So thank you more! This entry was posted on April 9, 2013 by naralesser and tagged NERD!, owls, romance, self-loathing, this won't end well.